Numerology is an intricate science that translates and interprets the meaning of numbers and their effect on our reality. So when a number repeats itself in sequence, it reflects a message that intensifies its meaning. So obviously, the Angel Number 555 holds a significant frequency and energy within its vibration. Angel Number 555 contains a couple of different numerical components within its energetic weight. To fully comprehend the vibration and frequency of Angel Number 555, we need to understand the energy of each numerical component within: the Number 5 and the Number 6. In Numerology, the Number Five reflects change at the strongest level. It possesses the attributes of innovation, adaptability, freedom, rebellion, pioneering, expansion, action, opportunity, independence, flexibility, and life experience. It also represents the 5 senses, the 5 projections from the body, the 5 vowels in the English alphabet, the Hamsa Hand, and the ever-spiritually significant 5-pointed star. The 5 emits the most dynamic energetic vibrational frequency of all the single-digit (cardinal) numbers. Even though it holds both feminine and masculine characteristics, the 5 has a stronger feminine nature to it. The charismatic energy of the 5 is daring – it reflects always being in motion, unpredictability, and a constant crave for change. The 5 takes all change in confident stride, adapting with excitement (whether the change was planned or not). Another attribute of the Number 5 is the concept of “personal freedom,” emanating a lowered sense of priority toward responsibility and conforming to the expectations of society. This leads to the energetic traits of rebellion, pioneering, and expansion (through idealism). Looking at the shape of the 5, it is evident that the energy of it is even represented visually – its shape is self-explanatory, displaying its lively and dynamic energy. It actually even looks like a whirlwind of sorts, one that is constantly in motion. If we compare the shape of the Number 4 to the Number 5, the difference is apparent. The energy of the 4 is practical and stable…like a square. The 5, however, is seemingly aimless and random in construction. One way to personally relate is to think of a 5-pointed star and how you draw or one – you will hit all directions, your hand moving all over the place…that can easily reflect the internal vibrational energy of the Number 5. In addition, it is helpful to know that the 5th sign of the zodiac is the fixed fire sign Leo, and the 5th card of the Tarot deck is The Hierophant. 5+5+5 = 15. 15 reduces to 6, since 1+5 = 6. In Numerology, the Number Six is considered “The Nurturer” in Numerology; it holds the most loving and harmonious vibration of all the single-digit (cardinal) numbers. It represents energetic vibrations of idealism, family/home life, and creating peaceful environments here in the physical. It represents compassion, maternal instinct, and love…along with a grounded and “down to earth” wisdom. The 6 also has an energy of analysis contained within, like having to get to the “heart of a matter,” solving problems wisely and logically, (just as a nurturing maternal figure has the inborn capability to do). As with all numbers, the shape of the 6 represents the energy it possesses in visual format. Any number that has a circular shape of some kind exudes a love-based frequency – in essence, one that is more feminine based than masculine. This correlates with the energy of the nurturing-nature of the 6, and the shape is symbolic of a spirit “pregnant” with unconditional love and compassion. Some other aspects related to the Number Six include the 6th sign of the zodiac, Virgo, and the 6th card in the Tarot deck, The Lovers card. Angel Number 555 contains a combined vibrational energy of the Number 5, Number 15, and essentially the Number 6. But remember, a repeating triple-digit number sequence intensifies the energy of that number; in this case – the Number Five. 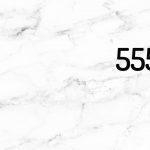 When Angel Number 555 reveals itself to you, it is relaying a message regarding change; this change is imminent and unavoidable, so the best thing to do is to be ready for it. Be prepared to utilize your idealistic talents, while being flexible and adaptable to any change you may not be prepared for. If you are constantly seeing Angel Number 555 in your daily life, remember this: the 5 isn’t just skilled at handling change, it enjoys change. The message of Angel Number 555 should not bring with it any anxious or feelings of worry, but rather it should invoke excitement. By releasing any fear-based thoughts you have about coming events, you will undoubtedly reap the benefits of the changes to come, while learning life lessons significant to your soul mission. By being innovative and flexible mentally…while also keeping a dynamic yet pragmatic strategy in your intentional actions… you can succeed via a logical and nurturing nature. Remember that your thoughts are actual energy; they soar out to the Universe… and back from the Universe… eventually creating your physical and spiritual reality. Keep your internal dialogue and conscious thoughts positive, and this message will provide a message that will not only serve your Higher Self, but also your life purpose and spiritual journey.